Jeep vehicles deserve the best auto mechanics and auto repair service in Truckee and Lake Tahoe. 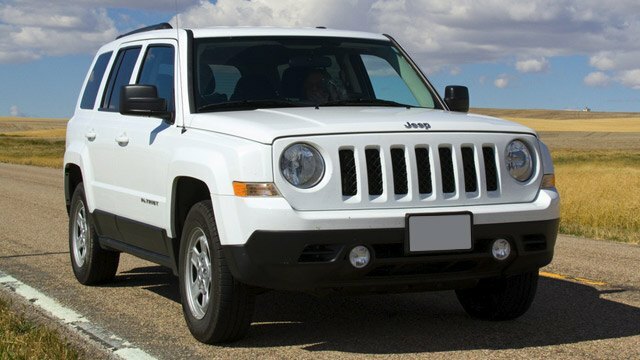 At Quality Automotive and Smog, our auto repair experts provide precisely that and know that there is something unique about Jeep owners. They are a proud bunch who buy Jeeps because they expect to drive on rough roads, mountain roads, or no roads at all. Jeep’s fame began as a military supplier building a vehicle known popularly as “Jeep.” Soon after, this go-anywhere vehicle became desired by civilians who loved the “CJ” or “Civilian Jeep.” Today, Jeeps come in a variety of models including the Wrangler, Cherokee, Compass, Commander, and the Patriot. At Quality Automotive and Smog in Truckee, our employees either own a Jeep or dream of it, so it’s no surprise we can’t wait to help keep yours in top-performance shape. Visit us for Jeep auto repair services, diagnostic testing, brakes, and most every other service under the hood. When you visit Quality Automotive and Smog in Truckee for servicing, maintenance, or repair, you can count on our ServicePlus attention to detail. Each vehicle receives a Red Check Inspection detailing the condition of various systems on the car. Some are simple items like tire wear or fluid levels. As our technicians go further than a standard inspection and inspect the underside of the vehicle, they can identify issues that are unseen and often overlooked. The Red Check Inspect is a valuable tool for vehicle owners who want to plan for future maintenance and repairs. “The folks at Quality took good care of our 1998 Jeep (335,000 miles), doing everything we asked them to do (and not to do!). Nice to find an auto repair and smog shop with integrity here in the mountains...we'll be back.” -- Tom A. We absolutely love Jeeps and you will not find a more qualified, honest, and friendly auto repair shop than Quality Automotive and Smog in Truckee. Whether you live in Tahoe City, North Lake Tahoe, Kings Beach, Carnelian Bay, or beyond, we are your home team for all things Jeep. We are loyal to our customers and encourage you to take advantage of our ServicePlus Red Check program that includes an extended warranty, free local towing, seasonal benefits, and a dividend program. We are conveniently located at 11500 Donner Pass Rd, Unit D, Truckee, CA 96161. It’s easy to find us, and easy to find a good cup of coffee, food, or a new pair of skis/bike nearby while we work on your car. In the summer, you may consider borrowing our electric bike to tour Donner Lake while you wait. Open Monday - Friday from 8:00 AM - 5:00 PM, and closed from noon to 1 PM. Request your appointment online today!